The Coca-Cola Company is well known for its Polar Bears tumbling in the snow under the “Northern Lights” and enticing consumers to Taste the Feeling™ of a cold, refreshing Coke. For so many, Coca-Cola is also recognized for its philanthropic efforts, including providing yearly donations of Dasani® waters for Special Olympics Illinois events, establishing scholarship programs for “exceptional peoples’ thirst for knowledge”, and enacting disaster relief support in communion with the Red Cross. But few know the grass roots involvement and community support that the employees of Coca-Cola provide to the athletes of Special Olympics Illinois, especially the employees of the Coca-Cola Distribution Center of Charleston, IL. 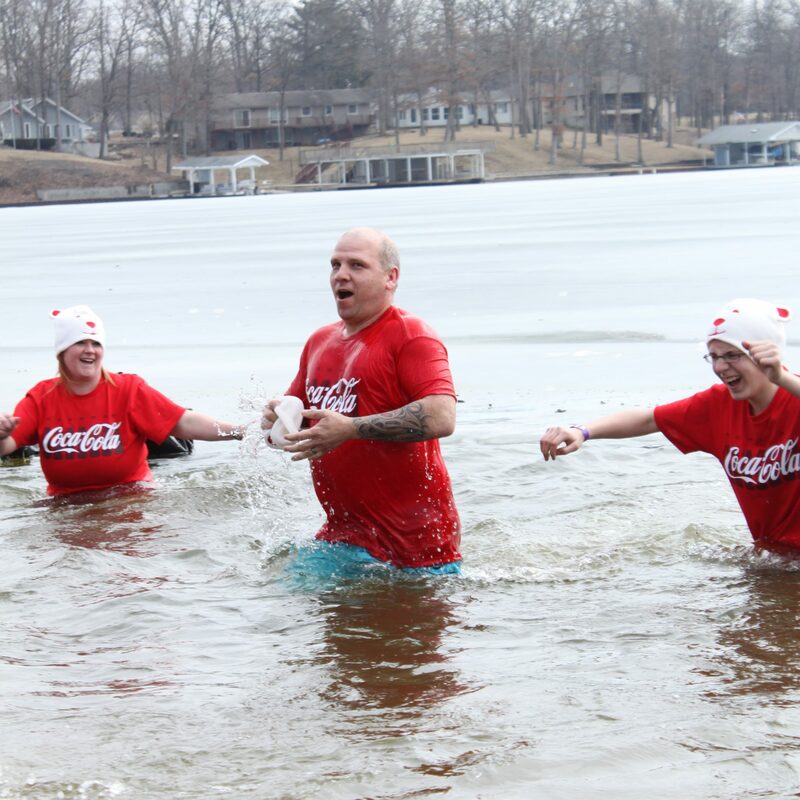 For the past five years, Tracie Montz, Business Supervisor of the Charleston/Champaign Coca-Cola Distribution Company, has been leading the Coca-Cola Polar Plunge team on their run into the “cold, refreshing” waters of Lake Sara in Effingham. The Coca-Cola Plunge team participated in last year’s Corporate Team Challenge at the LETR Polar Plunge and raised over $1500 for Special Olympics Illinois. In total, Tracie and her team have raised a little over $4,300 in plunge donations during their plunging years. When asked what is Tracie’s favorite part about taking the LETR Polar Plunge year after year, she exclaimed “I love the team spirit and atmosphere. The fact that we are helping Special Olympics, is icing on the cake”.